This intimate property of 35 suites intertwines into the culture and landscape of the village of Lijiang like it was always meant to be there. Built using locally sourced materials and arranged around a serene courtyard, the Amandayan channels the aesthetics and spirit of the region's indigenous Nakhi people to perfection, as the snowy peaks of the Jade Dragon mountains tower above the resort for a unique sense of place. 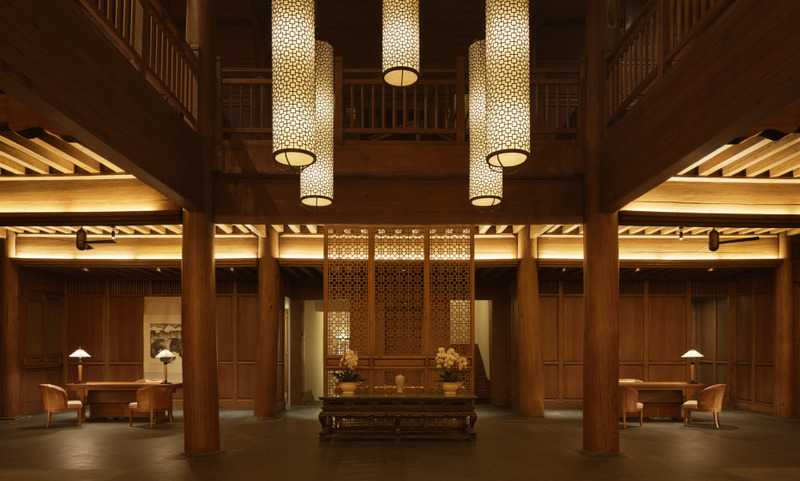 A part of the resort is the carefully preserved Wenchang Palace set in a traditional courtyard dating back to 1725. Amandayan offers magnificent views on the snow-capped mountains including the scenic peak of Jade Dragon Snow Mountain. You will be immersed in Chinese culture with the Naxi minority known for its own religion, language and cryptographic writing symbols.